Adorn your walls with this narrow, gold picture frame. 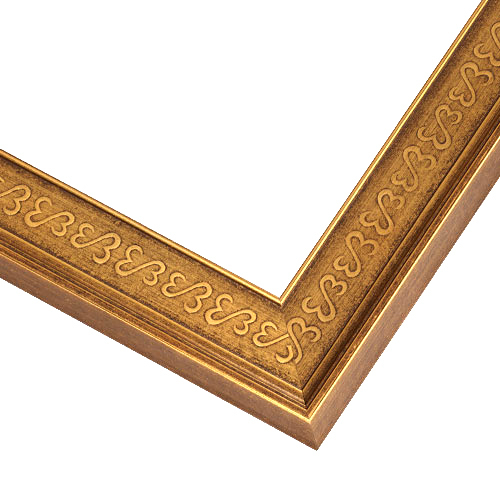 From Artist Jane Seymour, this antiqued gold natural wood frame is embossed with her Open Hearts insignia and a raised outer rim guides the eyes toward your art. Its pure elegance and pristine quality has a stunning effect on family portraits, your hard-earned diploma or fine art photography. Arrives at your door fully assembled with retainer clips, D-rings & wire for hanging. Exclusively sold online at picturefames.com. I loved everything about this frame. 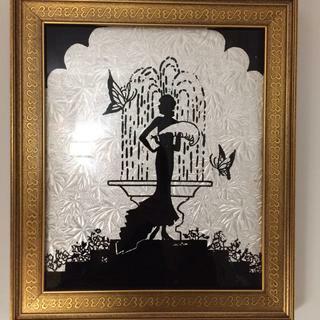 It was a great choice for my vintage artwork. It fit perfectly. The packaging was absolute perfection and everything was included to hang it up which saved me a trip to the hardware store. The gold finish and narrow width (while still having enough depth to frame a record album) provide a light, understated touch. Also, the semi-heart shaped motif running around the circumference echoes an element of the image being framed.